Steam with Miele gives you perfection just as you like it! Success is guaranteed using the fast and even distribution of steam in the cabinet and around cooking containers. 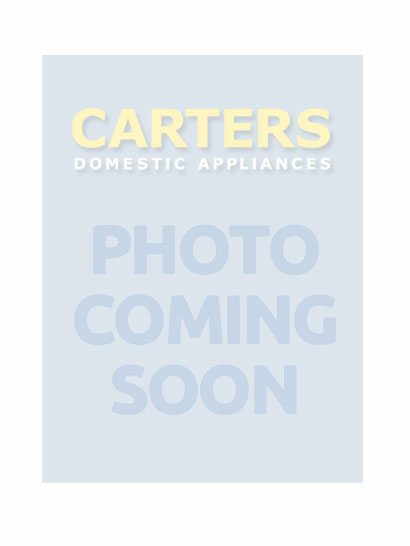 The Miele steam oven is an all-round expert and the perfect partner for an oven and a hob. As the cooking durations for steaming and boiling are identical, you do not have to change your cooking habits. You can cook starters, soup, fish, meat, vegetables, side dishes or desserts individually - or a complete menu in a single cooking process. 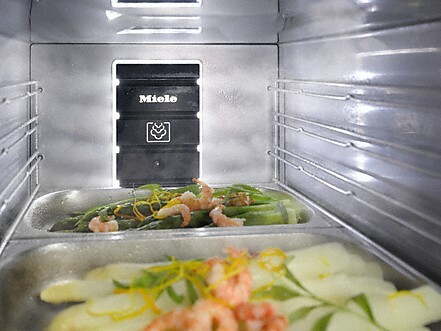 Individual preferences - firm or tender - can also be catered for with the Miele steam combination oven. Thanks to Miele’s MultiSteam technology, external steam generation ensures perfect results. Six steam inlet ports ensure quick steam generation, heating up times and steam distribution for uniform cooking results. Lots of functions in one appliance: for perfect cooking, roasting and baking results with unlimited combinations. The XL steam combination oven with its conventional oven functions meets the needs of all your cooking requirements. As a fully-fledged steam oven, it offers all the benefits that are described in the chapter on steam ovens. In addition, it is equipped with the many functions of an oven such as Fan plus, Conventional heat and Grill. It shows its skill in combi cooking - a combination of moist and dry heat for perfect results, particularly when baking and roasting. No supervision needed! Everything is perfectly cooked and close to hand. Cook meat, fish and poultry individually and with precise temperature control: the food probe monitors the core temperature when roasting and lets you know the remaining cooking time. As a result, you do not need to supervise the cooking process. 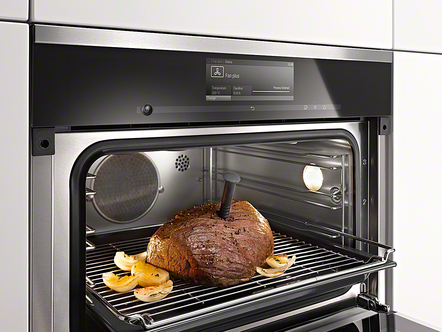 Crispy outside, succulent inside: the combination of moisture and hot air ensures perfect results. Versatile for perfect roasting and baking results. Freely selectable combination of steam and another cooking function: temperature (40°C to 225°C) and moisture content (0% to 100%) can be adjusted and altered up to six times in quick succession. This offers maximum flexibility for best baking and roasting results. Totally convenient! The panel opens and closes at the touch of a button to reveal the water container and the food probe. More than simply a control. Open the control panel at the touch of a button; behind you will find the water container, condensate container and the wireless food probe. When opening the control panel the water container and condensate container move forward for easy removal. You can fill the water container and empty the condensate container without opening the oven door. The panel is tilted towards you for ease of use and for the best view of the display. Ample space: complete meals can be prepared simultaneously for up to 10 persons; sufficient room for poultry or a whole fish. Plenty of space for individual creativity! Miele's XL steam combination oven offers 48 litres of usable space. allowing you to prepare complete menus for eight to ten people. Complete meals can be cooked at the same time and there is even sufficient space for larger items such as poultry and whole fish. Ample space: complete meals can be cooked for up to 10 people at once, enough room for poultry or a whole fish. Allows you to be creative. 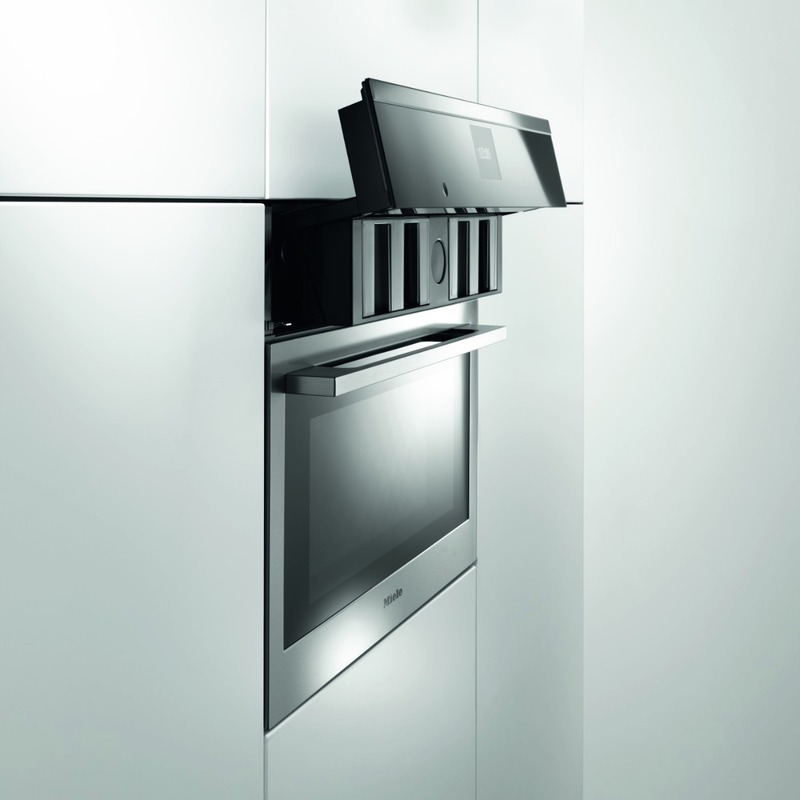 Three appliances in the space of a large oven: Miele's XXL combination ovens offer 68 litres of usable space.